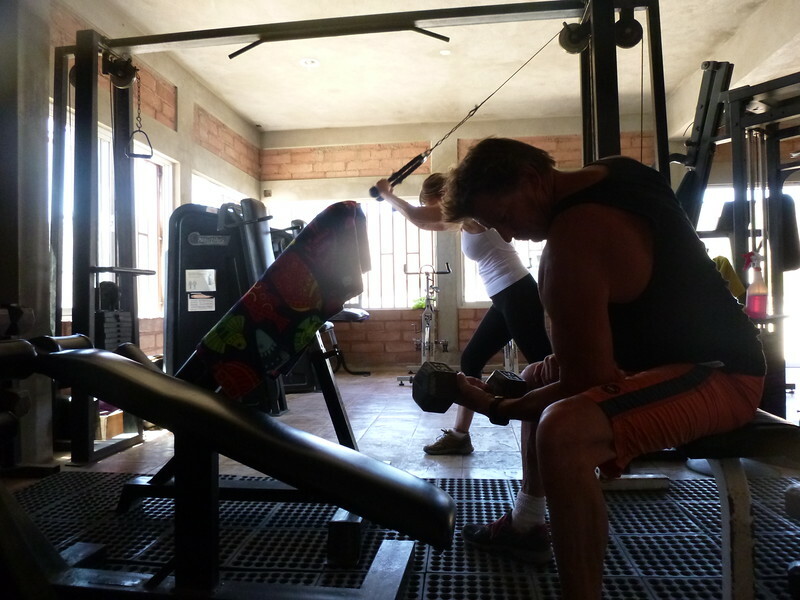 Heidi and I have a new mission, to get in top condition preparing for off-road racing in Baja. This is what we love and having a mission like this only makes it more fun. Sam evidently tangled with a large snake in our back yard. Heidi heard him yelp, we have never heard him yelp before. The next day he lost his fur on the side of his face the size of a half dollar coin. 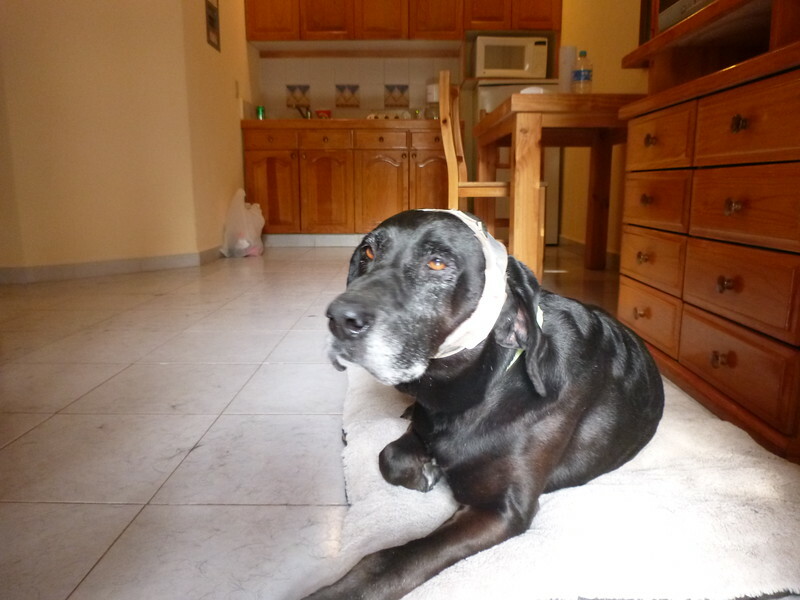 He kept trying to scratch it so we treated it with disinfectant and bandaged his head. He was so good and put up with all our care. Our time in Los Barriles came to an end way too quick. 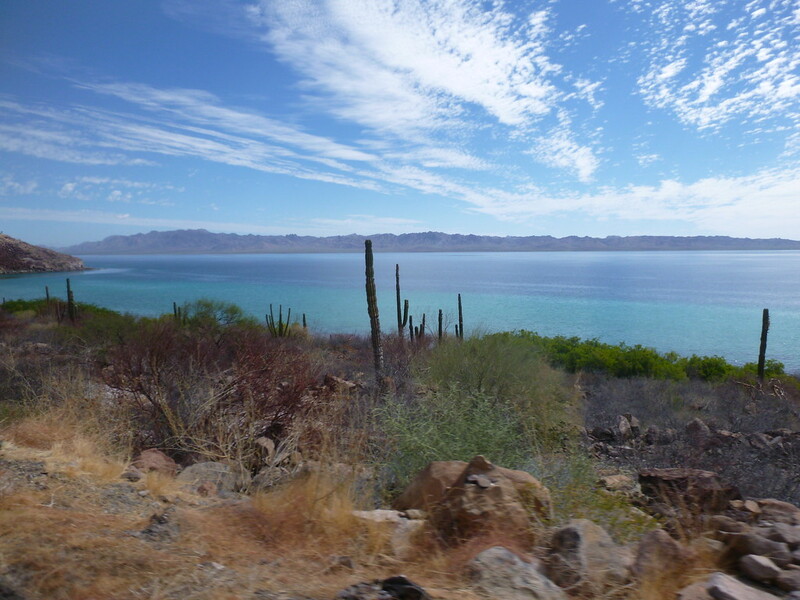 We are on the road back up the Baja peninsula across the USA to Hayward Wisconsin. We are giving ourselves six weeks for the trip so we can enjoy the journey to the fullest. The scenery is just as fantastic on the return ride as it was coming down. Sam loves every part of traveling with us. New hotels, new areas to explore and just hanging with us seems to be his new favorite thing. The ride along the east coast has stunning views and great places to camp and hang out. Beach camping under a palapa is common along the Sea of Cortez. A couple local artists were donating their time to do this mural. Baja tacos are the best. We are going to attempt to hug the east coast along the Sea of Cortez on the return ride. We did this route with our Jeep back in 2005', back then the road was all dirt and part of the famous Baja 1000 race course. The rumor is the road is mostly paved now, we will see. I am always on the lookout for an access to the sea. Its a good chance to excersise Sam and explore new areas. The road turns to dirt complete with Baja bumps and washboards. Coco's corner. We signed Coco's guestbook back in 05' and had a nice chat with him. 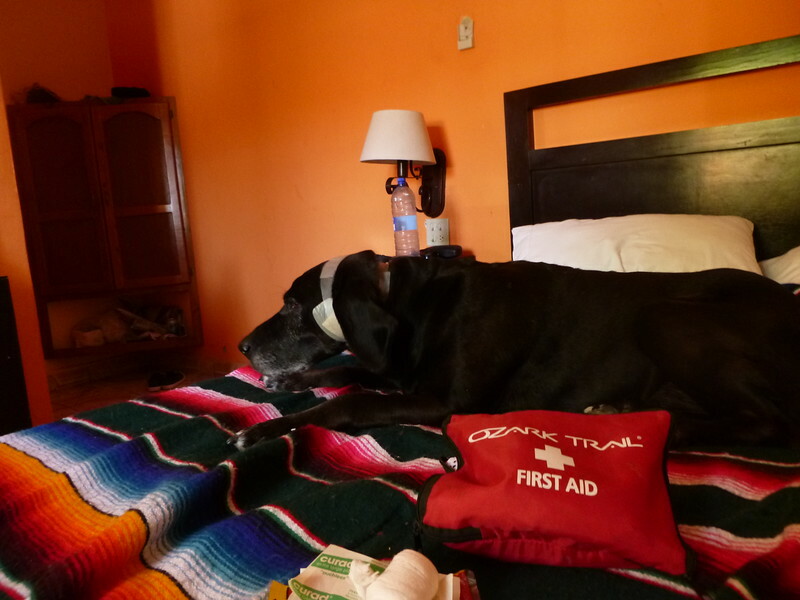 Coco is a famous face in Baja racing and has been for decades. Back on new pavement. Should be smooth sailing all the way to San Felipe. San Felipe. It just happens that the 'San Felipe 250' off-road race is on this weekend. The town is a buzz. This place was just a small fishing village back in 05'. We can't pass up Baja street tacos. Shooting for the US border today.